Study of the the many Zivs on Jewishgen's Lithuania database yields no evidence that they are all related. This despite Lord Israel Sieff's claim in his memoirs that his great-grandfather Yosef Ziv told him that all Zivs (sic) are related. According to Lord Sieff his great-grandfather told him that his branch of the Ziv family was descended from the Vilna Gaon's brother Joshua. Since the Gaon did not have a brother named Joshua, I assume that the name suffered in the translation and that it was Yissakhar-Ber. The main branches of Ziv families are those in Plunge, Ariogala, Kedeiniai, Raseiniai, Seta, Tavrig and smaller numbers in many towns. Lipman's "Toldot Heyehudim BeKovno Ve Slovodka" (Keidan 1931) establishes the line descended from Azriel ben Yehudah Leib, the first rabbi of Kovno, born about 1700. His son Gershon Mendel is claimed to have died in 1900. Although most sources claim he was a son of the above Yehudah Leib, there is too wide a gap and therefore a generation may be missing or the date of death incorrect. Gershon Mendel was ABD in Plunge and Tavrig. He had a son Tuviah. Azriel Ziv who was ABD of Birz died young in 1827 and was apparently a brother of Moshe father of Zev Wulf (1816-1864). Lipman however claims that Azriel and Moshe were cousins to Gershon Mendel. 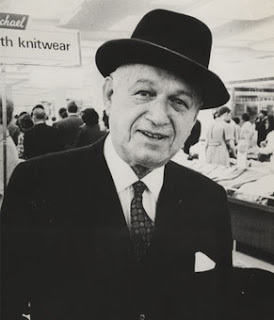 However Moshe's son Zev Wulf was the father-in-law of Moshe Yaakov Zevadia. In the latter's book "Me'eyn Ganim" (Vilna 1904) he claims that Moshe was a son of Gershon Mendel of Plunge and Tavrig. If so, extrapolation backwards would place Gerson Mendel's birthdate at c. 1760 in which case he could not have died in 1900. .
To accomodate these and other calculations, it appears that the death date of 1900 was wrong. Gershon Mendel Ziv of Plunge and Tavrig should not be confused with Gershon Mendel Ziv of Raseiniai (1816-1902). His family is described in Stephen. W. Feingold's "From Rasseyn to Worcester: The Generations of Gershom Mendel Ziv" (published1983-1984). He was related in some way to the Plunge Zivs and to Lord Sieff. He is mentioned in Markovich's "Lekorot Ir Rassein Urabbaneiha" (Warsaw 1913). From the Plunge records a Zelman son of Israel Ziv was born in 1799. In various records Azriel appears as Israel. In the tradition of the Grad family, Yaakov Grad's wife Peena/Pina 1817-1913 ( see Plunge records) was a Ziv with some recollection of "Izrael". Her tombstone on Har Hazeitim in Jerusalem gives her father as Shlomo Zalman Leib. Another family tradition/confusion claims that her name was Peena-Lessa, which could not be so as she had a grand-daughter born during her lifetime Breina-Lessa. Note that the above Zelman son of Israel Ziv of Plunge was the husband of a Lessa. Putting all the above together we can conclude that Peena Grad was a daughter of Zelman (ben Azriel) Ziv and Leesa. Zelman had descendants named Zelman-Leib, so it is possible that that was his full name, correlating with the name of Peena's father Shlomo Zalman Leib which appears on her tombstone. 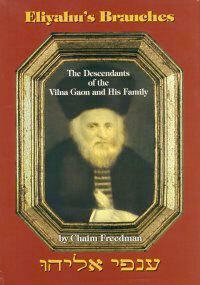 Given the Grad tradition that Peena was descended/related to the Vilna Gaon, my original estimation in my book "Eliyahu's Branches, the Descendants of the Vilna Gaon and His family" (Avotaynu 1997) that Peena's grandfather Azriel was a son-in-law of the Gra's brother Yissakhar-Ber, appears to be correct. Thus Peena's father Shlomo Zalman Leib was named after Yissakhar-Ber's father Shlomo Zalman. Regarding Rabbi Yosef Yuzel Hurwitz,(1849-1919, who changed his name from Ziv), the Alter of Novardok, a tradition recently conveyed claims that he too was related to the Vilna Gaon. His biographies state that his father Shlomo Zalman Ziv was Rabbi in Plunge and then Kurtuvenai. There is a birth record in Kovno in 1882 of Menukha a daughter of Azriel Ziv son of Zalman. Azriel is described as "family from Kurtuvenai"
From this it is fair to assume that Azriel was a brother of the Alter of Novardok, whose father Shlomo Zalman may have been a son of an Azriel Ziv. A book "Netiv Oz" (Baltimore 2007) written by Azriel Yehudah Ziv includes a recommendation by Rabbi Mordekhai Zev Yofen, a descendant of the Alter of Novardok. He describes the auther as "She'er Besari" indicating a blood relationship, further evidence of the Ziv connections of the Alter of Novardok. As to the Ariogala Zivs, it is not ready ascernable if they are related to the Plunge Zivs. The only clue is the name Azriel. Lord Sieff, Azriel Moshe born 1889. According to Lord Sieff's memoirs his family lived in Ariogala and Siady (Seta). Since Lord Sieff's great-grandfather Yosef claimed descent from a brother of the Gaon, and since Lord Sieff bore the name Azriel, it is reasonable to expect that Lord Sieff's family is a part of the Plunge Zivs, as too Peena Grad and the Alter of Novardok. Regarding the mother of the Alter of Kelm Simkha-Zissel Braude-Ziv (born 1824, son of Yisrael son of Menakhem Nakhum Braude): his mother Khaya is recorded in a family tree by Reuven Poupka as "Ziv" and descended from the Khakham Tzvi. His source was Rabbi Nakhum Zeev Dessler of Cleveland. It has yet to be established how she was a Ziv. But this explains why her son chose the surname Ziv when he changed his name from Braude. A clue may be found in the 1816 Revison List in Kedainiai which records a Iudel Leyb son of Izrael Ziv whose wife Chaya (born 1773) was a sister of Leyb Movsha son of Wulf Braude. DNA testing conducted by Simon Ziff shows that there are various Ziv (sic) families who are not related.